The latest price survey by the AA Roadwatch has shown that petrol now costs an average of 162 cent per litre, while diesel costs an average of 153.8 cent. The AA ROADWATCH has criticised the amount that road users are having to spend on petrol on diesel, saying that it “burdens business”. 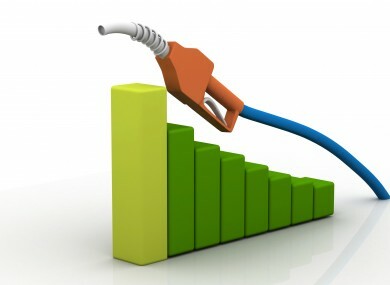 Despite the latest price survey having shown a slight drop in both petrol and diesel, the AA Roadwatch have calculated that a typical Irish car (covering 19,200 kilometres per year) doing typical mileage (48.2 kilometres per gallon) will result in drivers spending €243 on petrol this month, of which €138.50 is tax. Petrol now costs an average of 162 cent per litre, down one-tenth of one cent on last month, while the cost of diesel has dropped by 2.7 cent to an average of 153.8 cent. The director of consumer affairs at AA Roadwatch, Conor Faughnan, said that the prices could drop a further two cent this month. Despite a recent sharp drop in the price of oil, the AA Roadwatch said that this does not have as big an impact on fuel prices as drivers would believe, with over 57 per cent of the price of both diesel and petrol being tax. Email “Average driver to spend €243 on petrol this month, paying €138.50 in tax”. Feedback on “Average driver to spend €243 on petrol this month, paying €138.50 in tax”.